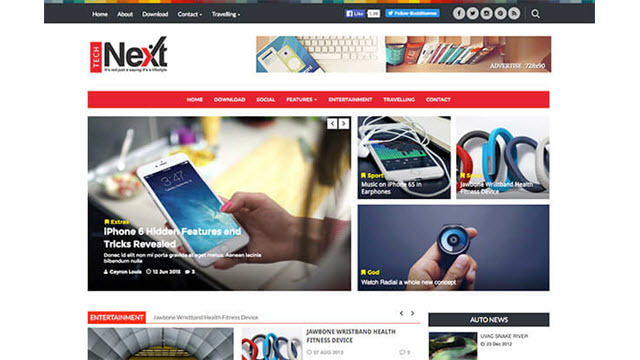 Description: Technext Magazine Blogger Templates is a free Blogger Template, showcases magazine style design with lots of features. This is for a news, newspaper, magazine, publishing, reviews, entertainment, health, high-tech, fashion, travel, sports, business, politics and others! Technext Blogger Templates is suitable for gaming magazines, newspaper publishers, magazine or advanced blogs. This theme is a great choice to create a Beautiful & Powerful website! Technext themes is highly flexible and enables you configure every detail and customize it according to your needs. Easy set up and use. It comes with detailed documentation and awesome support.